Pirates love jewelry. This stems from their love of gold and silver, which, again, stems from their love of basically all things valuable. So whether its earrings, pendants, rings, or even bracelets, you can almost bet that a pirate will love it just because its jewelry and jewelry is usually a valuable. And speaking of bracelets, here we have a couple of really stylish pirate and nautical bracelets available for the discerning pirate who is looking to acquire a shiny new trinket. 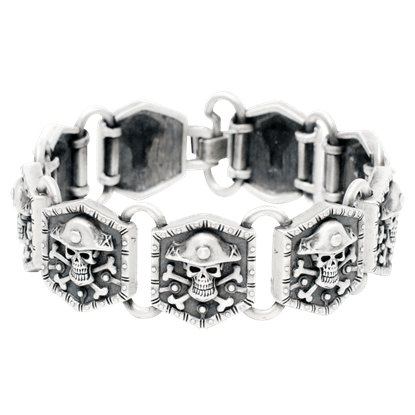 Many of our pirate bracelets feature skulls, which are either the focal point of the item or at least worked into the design somewhere. Why? Because pirates like skulls as much as they like jewelry, so it makes sense to combine them. Do not agree? Take a look at a Jolly Roger. That is your proof that pirates love skulls, bones, and skeletons. 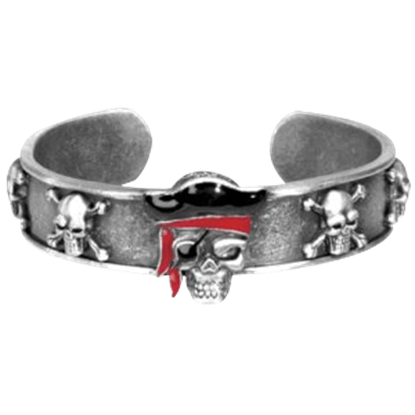 And no matter what type of pirate you happen to be, we have the pirate bracelet that will suit you: king skulls for pirate captains, skulls and roses for romantic swashbucklers on the high seas, and simple skulls for pirates who still like their shiny things but want to maintain a slightly lower profile. Is your pirate wrist bare? Throw on a pirate bracelet! You will not think twice about it until someone compliments you for it, and then it will seem like a smart choice. 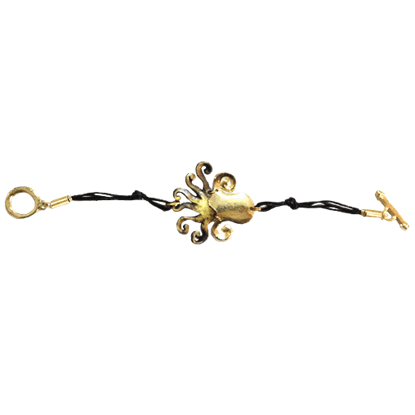 Dazzle your friends and family with a remarkable and original accent like the Brass Octopus Bracelet. Everyone will admire your bold fashion taste after they see you proudly modeling this at the next social event. 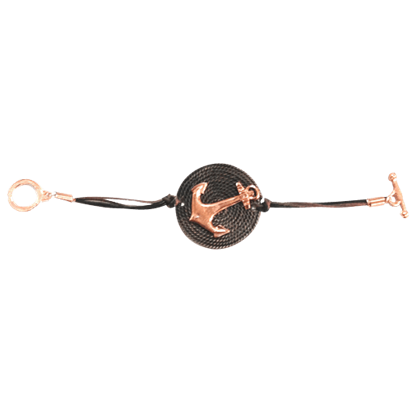 Embrace the wind in your sails and the fashion benefits of the spirited and vibrant Copper Anchor Bracelet. This extraordinary accessory will take your look to a new level and have everyone admiring your daring outfit. 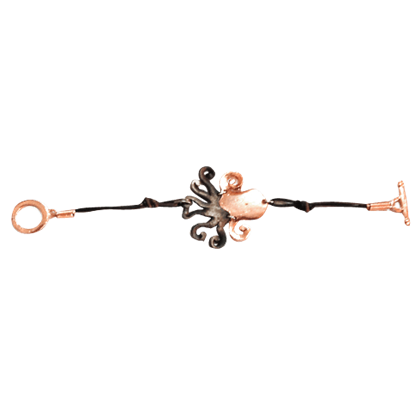 Begin a new fashion trend this season with a little help from the unique and dazzling Copper Octopus Bracelet. This adventurous accessory will add new dimensions to your wardrobe so pick one up for yourself today. Whether you enjoy the gothic style or are a fan of pirates, the Gothic Pirate Skull Chain is an incredible piece of skull themed jewelry to own! This chain consists of five stainless-steel skulls that have been linked together. 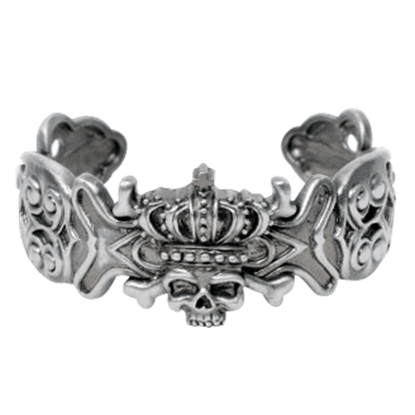 The King Skull Bracelet is a cuff bracelet that features a skull wearing a crown. Intricate artwork is on the sides. This bracelet is made of lead free alloy. 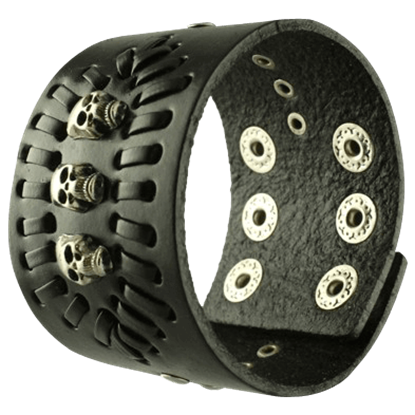 The King Skull Bracelet is one size fits all and can be slightly adjusted. Emerging from the horrors found on the fields of Passchendaele, the design of this bracelet depicts the scattered remnants of WWI. 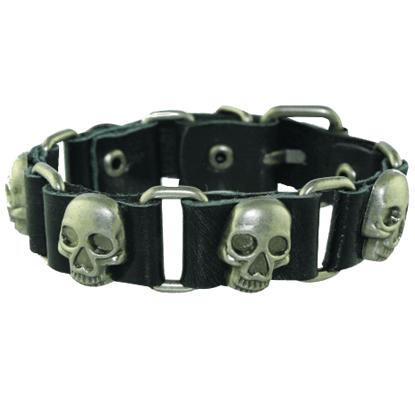 The No Mans Land Skull Bracelet makes a striking accessory for gothic outfits. 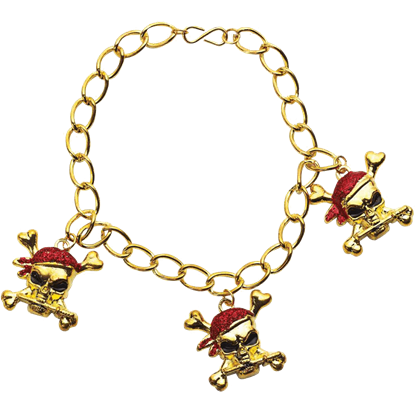 You can finally complete the look of that sailing outfit with the stylish and shocking Pirate Captain Bracelet. This adventurous jewelry accent will inspire you to seek great riches and danger, so purchase one for yourself today. Pirates are incredibly fashionable, which is probably because they plunder wealthy merchant ships. Whichever pirate is wearing the Pirate Leather Bracelet, though, has decided to add a uniquely dark pirate flair to their outfit. 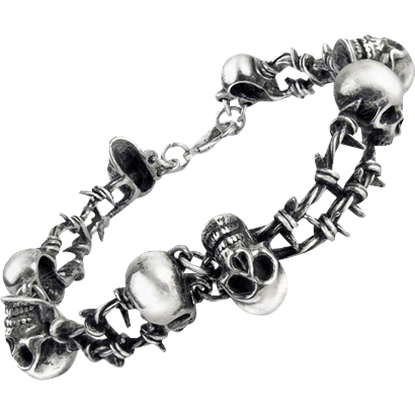 A pirate could not ask for a better bracelet than the Pirate Skull Bracelet. This attractive accessory features a classic pirate style that is difficult to beat, featuring several segments, all with great skull and crossbones designs. You have put together the perfect swashbuckling outfit for your pirate cosplay, but you cannot help but feel you are missing something. 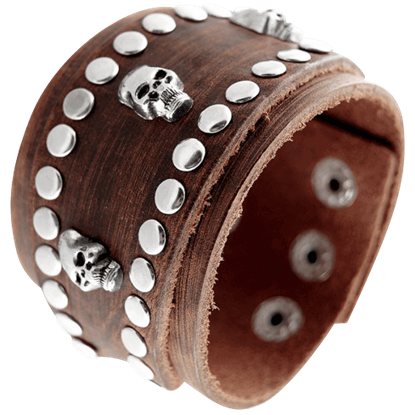 That something has to be the Pirate Skull Leather Bracelet! It is almost too pirate themed! Pirates have a very specific look to their clothing. The mind pictures pirates as wearing flowing shirts, sashes and bandanas, and lots of leather. 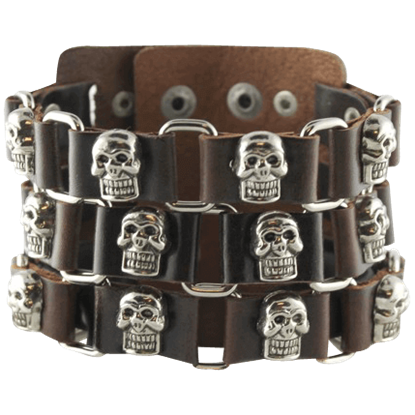 The Pirate Skull Wrist Cuff is a pirate themed piece of leather apparel for you! Nothing accents pirate style like a good piece of jewelry. If you are looking for just such an accessory, then you have found what you seek in this Red Glitter Pirate Bracelet. It features all the pirate style you could want.